As a leadership transition in the People’s Republic of China is set to take place later in 2012, questions over the government’s commitment to upholding internationally agreed-upon standards of the rule of law are again in the spotlight. A key question about the Chinese government's leadership transition later this year  is whether as a rising power China can achieve internationally agreed-upon standards to respect and implement the rule of law for the benefit of its people. For all of the attention paid to the Bo Xilai scandal and circumstances involving government critics Ai Weiwei and Chen Guangcheng, one ongoing, largely unnoticed case may serve as a barometer for China's future in this area. Gendun Choekyi Nyima was just six years old in 1995 when he and members of his family were detained in Tibet and taken into "protective custody" by the Chinese government. Earlier that year the Dalai Lama declared the child to be the reincarnation of the Panchen Lama, the second-most influential leader in Tibetan Buddhism, following the death of the previous Panchen Lama in 1989. His whereabouts remain a closely guarded state secret. No reliable outside source knows where he is or what his condition is, apart from a few cryptic statements issued over the years by China's government, who most recently claimed Gendun Choekyi Nyima -- now 23 -- is in mainland China and doesn't want to be disturbed. "It's a reminder about how exceptionally efficient and capable the Chinese state is when it has a security priority, when it wants to hide someone away or keep something secret," said Robert Barnett, director of Columbia University's Modern Tibetan Studies program. The Panchen Lama, like the Dalai Lama, is a crucial figure to Tibetans, and plays a key role in identifying candidates to be the next Dalai Lama. Lobsang Nyandak Zayul, the Dalai Lama's representative for the Americas, expressed to me that the whereabouts and condition of Gendun Choekyi Nyima "are of great concern to the Tibetan people," whose right to interact with their spiritual leader has been taken away. Soon after detaining Gendun Choekyi Nyima and his family, China's government identified another Tibetan boy as the "official" Panchen Lama, whose rare and carefully managed public appearances to date have been punctuated with public statements supportive of China and state stability. Why did the Chinese government, which is officially atheist, get involved in a case of religious leadership succession? China views the Dalai Lama -- spiritual leader of Tibetan Buddhism and, until last year, head of Tibet's government in exile -- as a separatist threat. Less about religion, according to the Economist, "China has its eyes on a complex struggle that will play out" once the current aging Dalai Lama dies. "With the endorsement of its own Panchen Lama, China wants to choose a successor to the current Dalai Lama and seek to control him." Beijing is concerned that the Dalai Lama and his exile supporters will support another candidate perceived as Tibetans' spiritual leader. It's a complicated story rooted in China's claims of historic sovereignty over Tibet. The implications are enormous, but the basic facts are simple: The Chinese government detained a six year-old and his family 17 years ago and nobody has seen them publicly since. By virtually any national or international standards this is illegal -- and morally outrageous. What does it say about the rule of law in China if people can be disappeared so easily? Meanwhile, circumstances for Tibetans worsen. Chinese authorities aggressively put down major riots in 2008, and in the last 18 months 45 Tibetans -- monks, nuns, and ordinary people -- have self-immolated in protest of China's harsh policies. Earlier this year China installed government monitors in nearly every monastery in Tibet in an effort to prevent separatist activities, and last month Human Rights Watch reported restrictions on news and information accessible by Tibetans inside China, to prevent views about the Dalai Lama and his followers not controlled by the Chinese government. 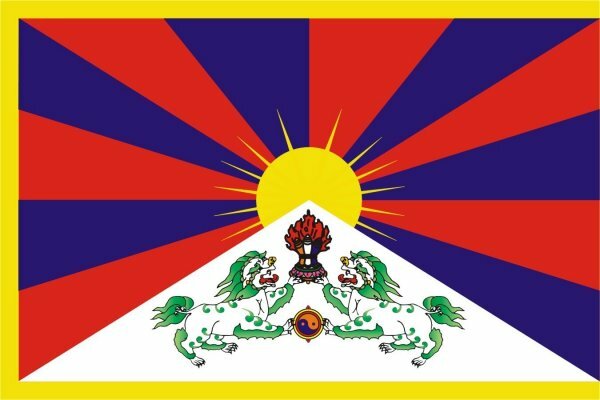 According to Columbia's Barnett, "This is much deeper than just the issue of how to control the mechanics of appointing the next Dalai Lama," explaining that in attempting to establish stability in Tibet, on the one hand the "Communist Party recognizes that it can't win over Tibetans just by argument, ideology, or economic benefit. They believe they have to have a major traditional or religious leader as a puppet figure who will endorse their claims to the Tibetan people." The greater political value for the Chinese government in having a quasi-official Panchen Lama is that he can be paraded around "not for Tibetan audiences but for Chinese audiences," Barnett said. The government, ever concerned with stability, "can use the army to control or suppress the six million or so Tibetans if they don't agree with China's choice for the Dalai Lama, but they can't use an army to force a billion Chinese to agree." According to Michael Davis, visiting professor of law at Hong Kong University, China appears to believe "the Tibet problem will just go away if they grind down the Tibetans." But the unrest will continue because "Tibetans will continue to mobilize opposition to the Chinese policies and China will continue to bear foreign policy cost." He added, "People figure if China treats its border Tibetan community like this, how will it treat other neighbors it dominates?" A spokesperson for China's United Nations mission in New York did not respond to repeated requests for comment, and calls to Beijing's embassy in Washington, D.C. went unanswered. While no one with whom I spoke had any information about the condition of Gendun Choekyi Nyima, it is possible the Chinese government may view him as a bargaining chip in stalled talks with Tibet's government in exile. "It would be extraordinary for China not to realize that they need to have that missing boy alive in order to get more concessions out of the exiles, if they ever go so far as to have serious talks," said Barnett. "But at the same time, they'll have to make some kind of compromise with the Tibetans' Panchen Lama, which would mean recognizing him in some secondary role." "I think the upside is enormous," said Davis. The Dalai Lama, who has called for autonomy for Tibet but not independence from China, "is surely the most reasonable representative of the Tibetan community they are likely to encounter," he said. "They should take advantage of this while they can. The Dalai Lama is also peculiarly suited to gain popular Tibetan support for any settlement." From the exiles' perspective, Lobsang Nyandak Zayul noted that "most of us have given up hope with the present administration in Beijing." Reengagement with the Chinese government may be possible "once they have established the next generation of leaders," he said. Unconditionally release Gendun Choekyi Nyima, as the Dalai Lama's representatives have called for. Or at least allow a neutral party to actually meet with him and verify his well-being. The new leadership in China could seize an opening and signal a policy shift on talks with exiles, and quietly raise whether Gendun Choekyi Nyima could be released as a possibility in any talks. Of course, sustained media focus on the case could make China consider reputational impacts abroad. Broader factors involved in China's treatment of its peripheral communities unsettles China's neighbors, as well as powers like the United States and the EU, so the status quo seems to carry significant costs. If China is ready to assume its role as a major power on the world stage, with new political leadership it should accept the associated responsibilities -- including respect for the rule of law at home. China can start with credible information about Gendun Choekyi Nyima.